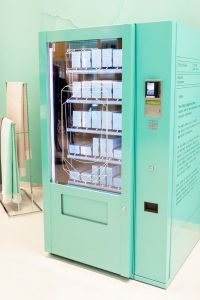 Tiffany & Co has unveiled potentially the world’s most decadent vending machine in the jewellery brand’s new London store. 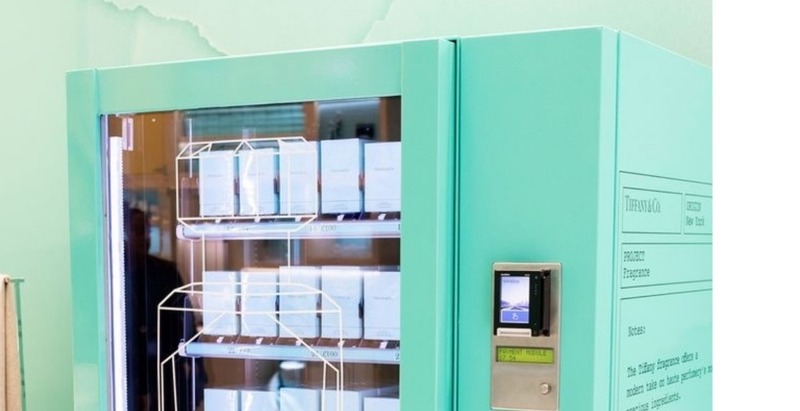 Inside the space – in which the brand is hoping to encourage creativity and playfulness – Tiffany has installed a vending machine where, instead of buying a chocolate bar or a packet of crisps, you can pick up the brand’s first fragrance. The machine is part of a new contemporary space inside Tiffany’s latest boutique, which opened earlier this month in Covent Garden. As well as the world’s chicest vending machine, the jewellery brand has installed a number of other elements to encourage creativity. This includes Tiffany Blue wooden crates displaying whimsical ‘Everyday Object’ accessories and a #MakeItTiffany personalisation bar. “We’ve integrated uniquely playful displays that reflect the wit and humour of Tiffany design to create a one-of-a-kind, experiential destination,” Richard Moore, vice president, creative director of store design and creative visual merchandising at Tiffany & Co said. The store – which is located on St James’ Street in Covent Garden – is open now.